Professional integration is a must for any Communication or Collaboration project. Audio and visual technologies need to be fully interoperable with your existing investments, and any new integration must be implemented in a way that meets your business objectives, with minimum disruption to your everyday workflow. VideoCentric’s team of highly trained and accredited professionals work with you to plan and integrate Video Communication and Collaborative technologies, infrastructure and services, that fully considers your processes, infrastructure and strategy and ensures the most professional implementation of every component, whether within a single meeting room or throughout a multi-national complex network. Our knowledge & experience developed across 35 years in the Video Communication industry provides our team with the expertise to successfully integrate on-premise, cloud and hybrid technologies into all manners of networks and scenarios, and we have become a trusted Video Communications partner for organisations spanning every sector, including finance, healthcare, education, construction, manufacturing, secure government and retail. We also provide specialist services for the healthcare sector, including ECG, PACS & medical device integration with Video Conferencing & Collaboration solutions, and Video Codec integration within Operating Theatres. 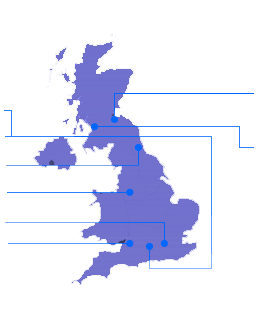 For more information about the Integration Services VideoCentric can provide, contact our team on 0118 9798910 today.